5. Work slow, making sure you follow the lines as close as possible. 6. Rotate the cyclinder often as you work. 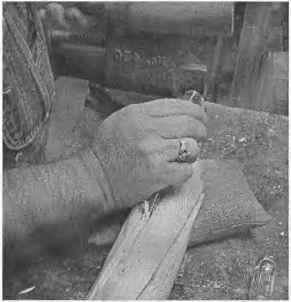 Keeping the chisel perpinducular to the cylinder and cut on the lines. 7. KNOTS: Remember you have little control cutting through knots!! 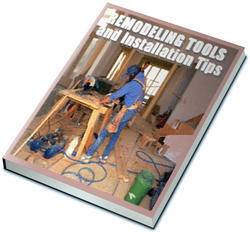 Use a 1/4" chisel to help you cut through the knots that may be on the sides of the grooves. 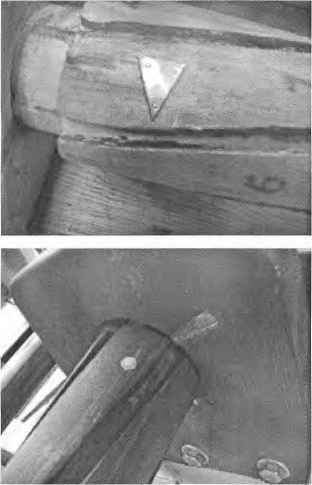 If pieces of knots or wood splits occur on the sides of grooves, repair later with a good grade of epoxy. 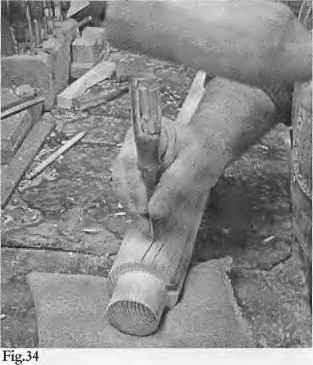 Change Rate Of Rifling Twist - This can be accomplished by shortening or lengthening the long arm of the angle drawn on the floor. (Reference section Laying Out The Rifling Grooves) Measuring out tne long leg to 60" would give a twist of 1 in 60. Conversely, a 1 in 32 would have a long leg of 32". 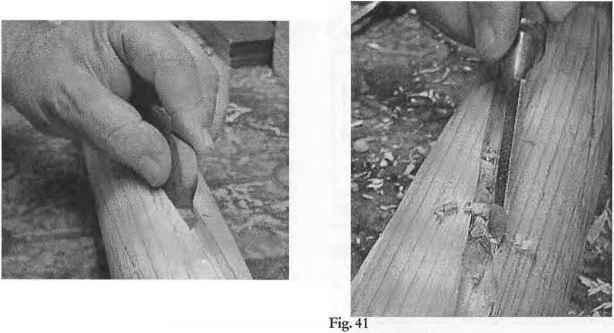 Worm Groove Too Wide: If too much wood gets removed from the sides of the grooves or splits badly; use popsicle sticks and epoxy to repair the sides of the groove. 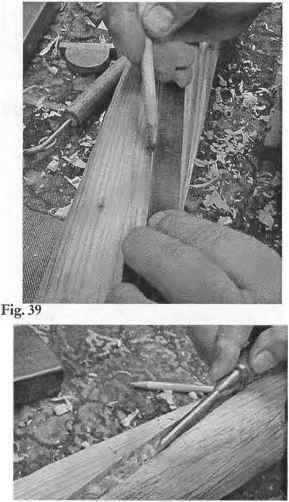 Wooden Worm - Fir may sound soft, but it will last dozens upon dozens of barrels if you keep it dry and use plenty of paraffin in the grooves. 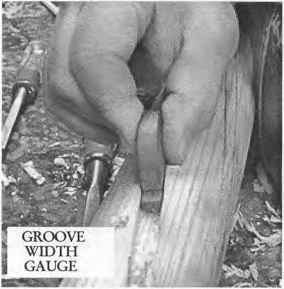 Index Marks - You may wish to make a mark or number each rifling groove or at least identify the number one groove. 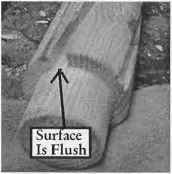 This aids you in identifying which groove you are cutting in the rifling process. We normally place our mark approximately 10"-12" from the index area of the worm. 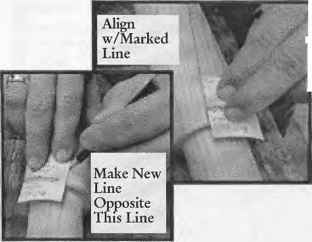 Below are a couple of ways you can mark your rifler. Use your imagination. How to build the atique rifling machine? 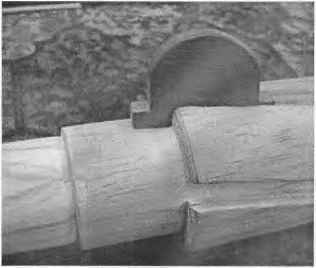 How to build the antique rifling machine? How riffling groove was machined? How much is groove a antique rifling machine can make? How a rifling machine working?